"Second Hand Husband" is a 2015 hindi film which has Dharmendra, Gippy Grewal, Narmada Ahuja, Deepshikha, Geeta Basra, Vijay Raaz, Mukesh Tiwari, Ravi Kishan, Alok Nath and Sanjay Mishra in lead roles. 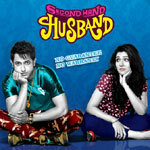 We have 3 songs lyrics and 3 video songs of Second Hand Husband. Jatinder Shah and Badshah have composed its music. Sunidhi Chauhan, Labh Janjua, Badshah and Gippy Grewal have sung these songs while Kumaar and Badshah have penned its lyrics. Banner Gakhal Brothers Entertainment Pvt. Ltd.